E-Rickshaws, one of the most recent yet quite famous modes of transportation across India have also found their place in the hearts of the Vertos. Be it running late for classes or going for some fun outside the campus, the e-rickshaws have been the most sought-after vehicle in university. Deepak Dhayal, a B.Tech Mechanical pass-out student of LPU is the person who deserves the credit for this. 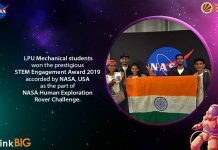 Deepak and his friend Shahwar Hasan launched Kinghills Travels in 2014 with the aim to make traveling easy for the students of the university who wanted to travel and explore new places in the country. When asked why he ventured Kinghills Travels, Deepak says, “I often saw students going to various places, but couldn’t explore much due to lack of knowledge and guidance regarding the area. So I decided to work on how these problems could be solved and hence Kinghills came into existence. The initial days were tough as we had to travel across the country to verify each and every detail, so as to provide the best possible services to our clients”. The Kinghills travels have not only eased traveling to dream holidays for the vertos, but also facilitated them inside the campus with the help of e-rickshaws. 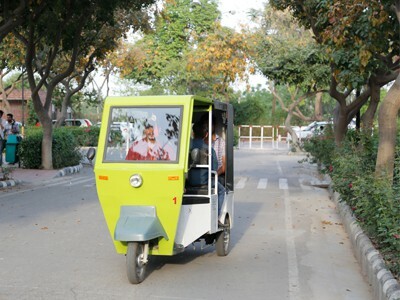 The e-rickshaws, which operate on battery power and charge a meager Rs 10, provide not only an economical mode of transportation but also are eco-friendly. “Initially we had started with 2 e-rickshaws in late 2014. Today, we are the proud owners of 24 e-rickshaws inside the campus”. Deepak attributes his success to the guidance and support provided to him and his venture by worthy Pro-Chancellor Mrs. Rashmi Mittal and the Head of Division of Social Welfare Dr. Sorabh Lakhanpal. “Kinghills travel wouldn’t have been what it is today if we hadn’t received the support from LPU. LPU has been like a guardian to us, helping us along the way. The Division of Student Welfare has helped us in many ways, from legal matters to able guidance on creating a successful business venture”. 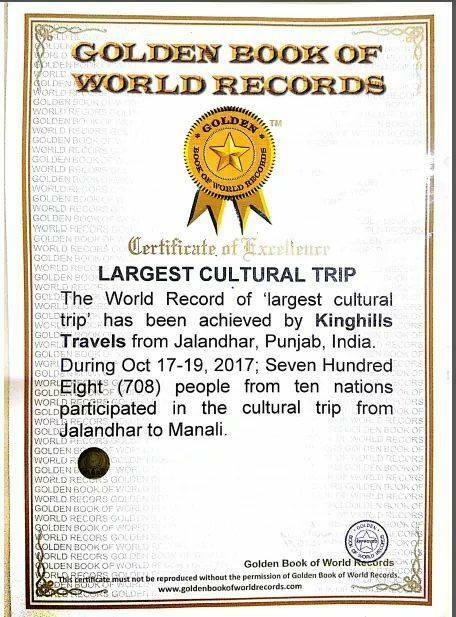 Kinghills Travels also has their name etched in the Golden Book of World Records for organizing the “largest cultural trip’. On a trip organized between 17th October and 19th October 2017, 708 people from 10 countries had participated in the trip from Jalandhar to Manali. Today, Kinghills Travels has 13 branches and franchises across the country. It has tie-ups with about 50 institutes all over India. Deepak aims to have 100 branches and franchises with about 200 tie-ups with various institutes by the end of the next year. Kinghills Travels, with a team of 40 members and a turnover of about 1 crore has always tried their level best to provide the best possible services to each and every customer, which reflects in their 1000+ happy customer base. Lovely Professional University is proud of students like Deepak who have the guts and passion in them to do business while keeping in mind the protection of our environment. The University is always ready to provide the platform to the ones with a dream to fly high. Hello there! I am a Sophomore at LPU with honours in Journalism and Mass Communication. I am on a journey to explore all the corners of the human world and maybe someday beyond it. I have a zeal for communications, be it writing, interacting with people through mediums like radio, television, etc. I also have a passion for photography and have a knack for something new always.